grandma's cookie jar: Today is the Last Day to Vote! Yes, today is the last day to vote in grandma's cookie jar's first Christmas Ornament/Decoration Contest! If you have not voted yet, please take a moment to do so! I'll give you a brief "recap" of each entry . 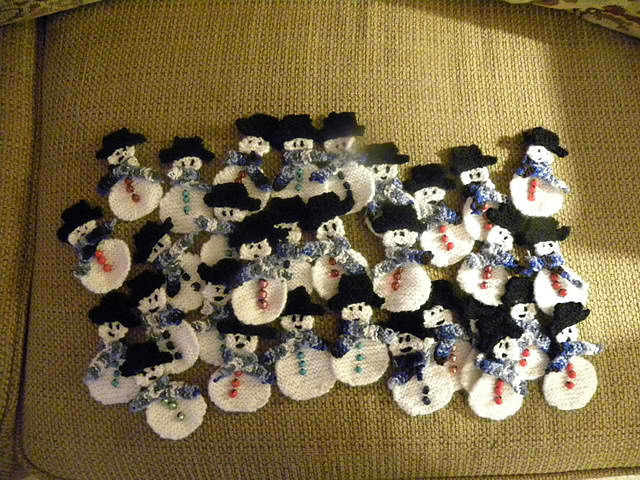 . .
Lori Layne shared a cute pattern for knitting little snowmen! 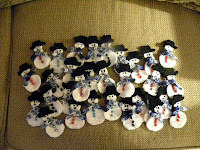 These snowmen would look so cute on a tree, attached to a gift, or tucked in a card . . . the pattern seems pretty simple . . . it could also be a fun first knitting project for a grandchild . . . or for you! See more at this link. 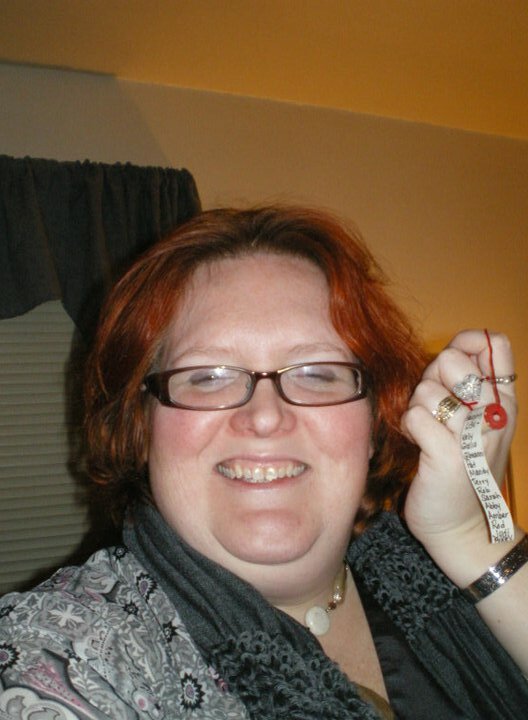 Sylvia Perkins shared a cute pattern for felt cookie ornaments! This pattern allows you the flexibility of choosing whatever shape "cookie" ou'd like to make and just involves tracing, cutting, gluing and simple sewing. These "cookies" would also look cute on a tree, attached to a gift or tucked in a card! See more at this link. 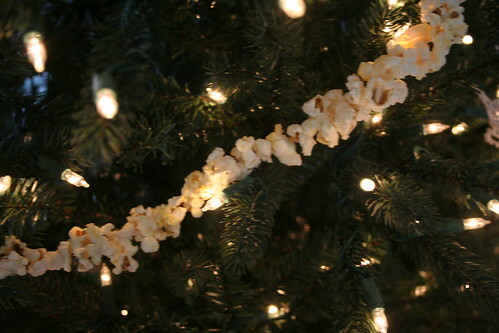 Nicole shared a classic - popcorn garland! Pop up a big bowl and enjoy tringing a garland to hang on your tree! This "tasty" craft is simple and fun! See more at this link. Alicia Cortes shared a fun pattern for making crystal ornaments! This rnament is also a science project! Have fun making ornaments in lots of different shapes - not only will your grandchildren enjoy shaping the ornaments, but they are sure to be surprised and delighted the next morning when the see the crystals on their shapes! See more at this link. Sarah Yurga shared a cute pattern for Santa's Naughty List! You could double the fun by making Santa's Nice List . . . of course your grandchildren would all find their names on the Nice list!!!! See more at this link. All five are fun ideas for ornaments and decorations which you could involve your grandchildren in helping you to make . . . and they would make wonderful gifts! Please pick one to vote for and then have fun making these ornaments/decorations for your 2012 Christmas celebrations!